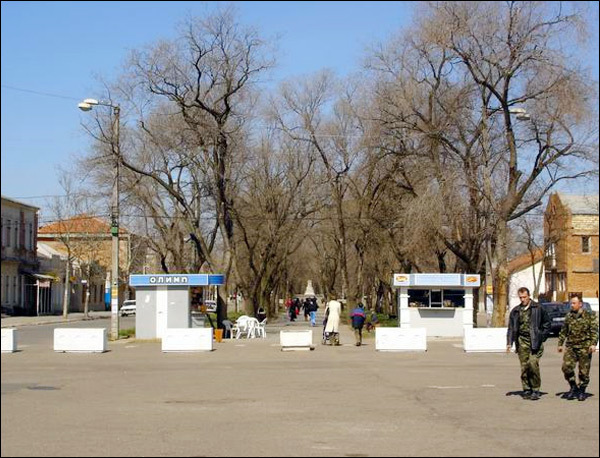 Bolhrad (Russian spelling “Bolgrad”) is a city located in Odessa region of Ukraine. The distance to the capital city of the region Odessa is 230 km. The distance to Izmail (railway station, airport) is about 40 km. Area code - +380 4846; postal codes - 68700-69706. Local time in Bolhrad city is April 21, 9:41 pm (+2 UTC). In the 4th-3rd millennium B.C., this area was inhabited by cultivators of copper epoch. Settlements of Bronze epoch, the 1st century A.C., and the time of Kievan Rus were also found. In the 13th century, the area was captured by Tatar-Mongols. When Russian-Turkish war (1806-1812) was over and Bessarabia became the part of the Russian Empire, the area was rapidly inhabited. Especially by the Bulgarians from the opposite bank of the Danube, they escaped from the Turkish yoke. 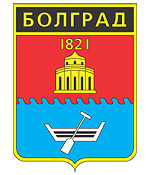 Bolhrad foundation date is 1821. The settlement was founded by Bulgarians under the command of Ivan Inzov near the Yalpug lake. Today, Ivan Inzov is honored as the founder of the city. The town was under control of Moldavia in 1856-1859 and Romania in 1859-1878, 1918-1940, 1941-1944. Later, it was included into the territory of the Ukrainian SSR and independent Ukraine after 1991. There are tragic pages in Bolhrad history. One of them is death of paratroopers of the 8th Parachute Company stationed in the city. October 18, 1989, during the combat mission in Baku, IL-76 carrying 48 soldiers and 9 crew members crashed. In the park near the Cathedral of the Transfiguration, there is a monument perpetuating the names of fallen soldiers. 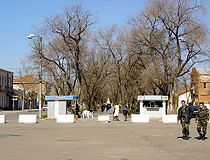 The population of the area consists mostly of ethnic Bulgarians (about 61%). 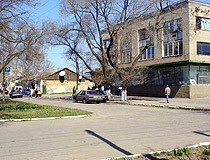 The city is also populated by Bessarabian Bulgarians. 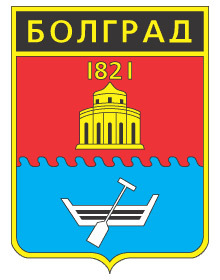 It is also known as unofficial capital of Budjak (Bessarabian historic district). Agricultural production, mainly grape and grain growing, livestock has leading role in the economy of the city. 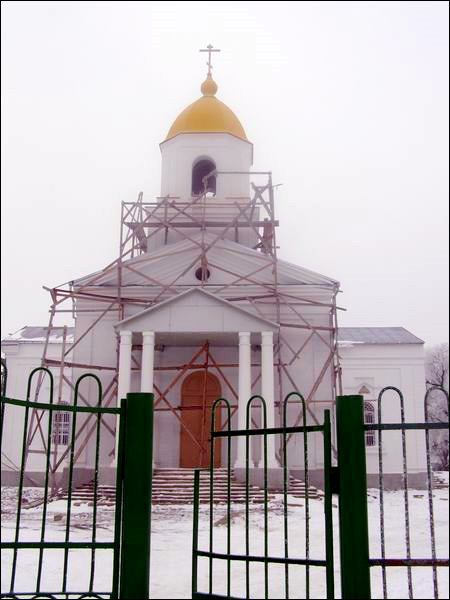 Transfiguration Church. This church founded in 1838 is located near the central square. It is one of the most beautiful churches in southern Ukraine and the main sight of Bolhrad. St. Nicholas Church - the monument of architecture of the 19th century. The church was built in 1881 on the support of parishioners and was active until the 50s of the 20th century. 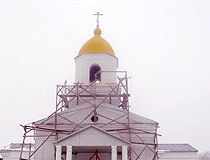 Currently, the church is being reconstructed. Inzov Mausoleum is a church with the churchyard located in the outskirts of the city. 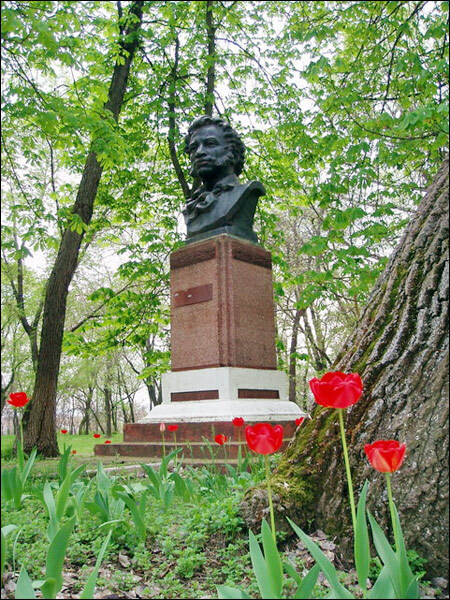 It was built in 1844, general Ivan Nikitich Inzov was buried there in 1846. Inzov Mausoleum is also depicted in the coat-of-arms of the city. 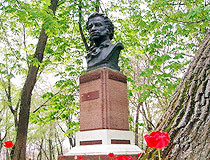 Statue of I.N.Inzov (the founder of the town) is standing on Inzovskaya Street. Memorial “Battle Brotherhood” honoring landing troops forces was opened in the center of the city on August 3, 2010. A division of airborne assault troops is stationed in the city. Memorial sign at the entrance to Bolhrad from Odessa. May 21, 1828, in this place the Emperor of Russia Nicholas I took a parade of Russian troops on their way to the Danube on the Russian-Turkish war. 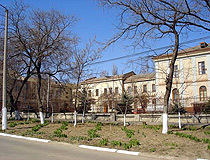 Bolhrad gymnasium It is one of the oldest and most famous educational institutions of the region. 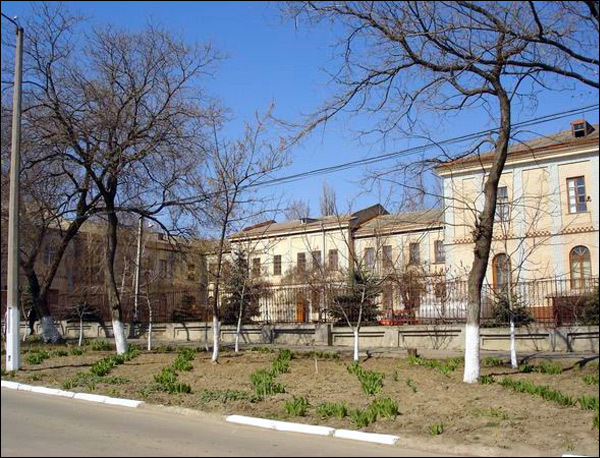 In 1858, representatives of 40 Bulgarian colonies of Bessarabia appealed to the Moldovan government to open a secondary school in the town for children of Bulgarian settlers. In 1999, the gymnasium was named in honor of G.S. Rakovsky, revolutionary democrat, a prominent leader of the national liberation movement in Bulgaria. Today, the school has 350 students. Historical and ethnographic museum. 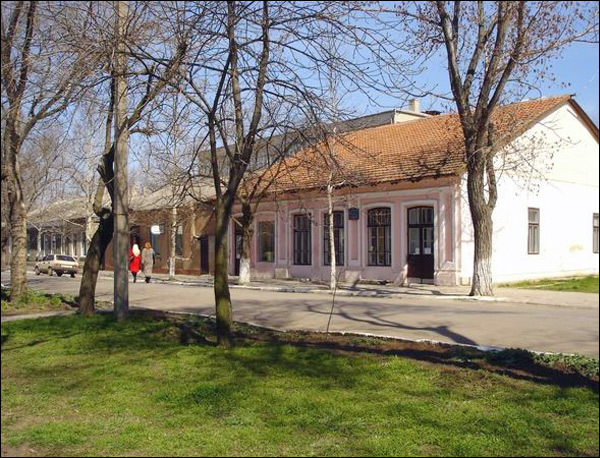 The history of Bessarabia region is presented in the museum. Among the exhibits of the museum are various archaeological finds, household items, clothes of Bulgarians, Gagauzians, and Albanians. Regional center of Bulgarian culture was opened in 1997. The purpose of the center is popularization of Bulgarian culture and language, revival of traditions, rituals, way of life of Bulgarians of Ukraine. There is an ethnographic room where you can see the objects of Bessarabian Bulgarians life during the 20-30s of the 20th century. 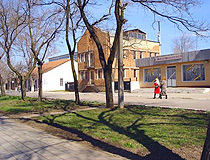 The center operates a Bulgarian library, where you can find both fiction and scientific-methodological, children’s literature. Hotel “Inzov”. 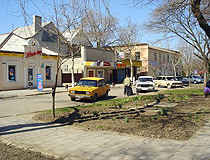 Inzovskaya Street, 1. Contact phone: +380 67 604 94 45. Hotel “Kooperator”. 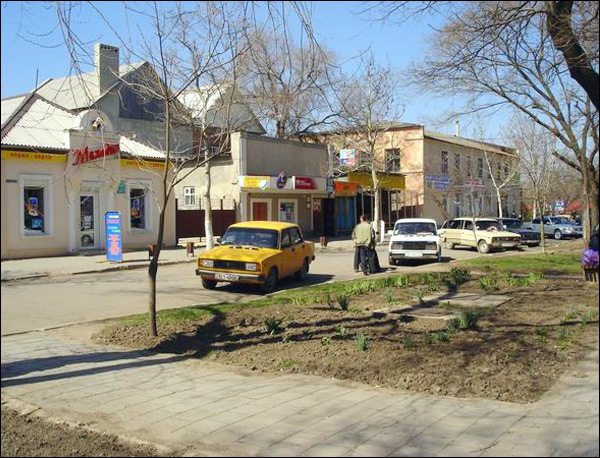 Inzovskaya Street, 116. Contact phone: +380 4846 43176. Hotel “Voennaya”. 25th Chapaev division Street, 66. Contact phone: +380 4846 23166. Small city, could use about 6 bed and breakfasts places. looks interesting to me.